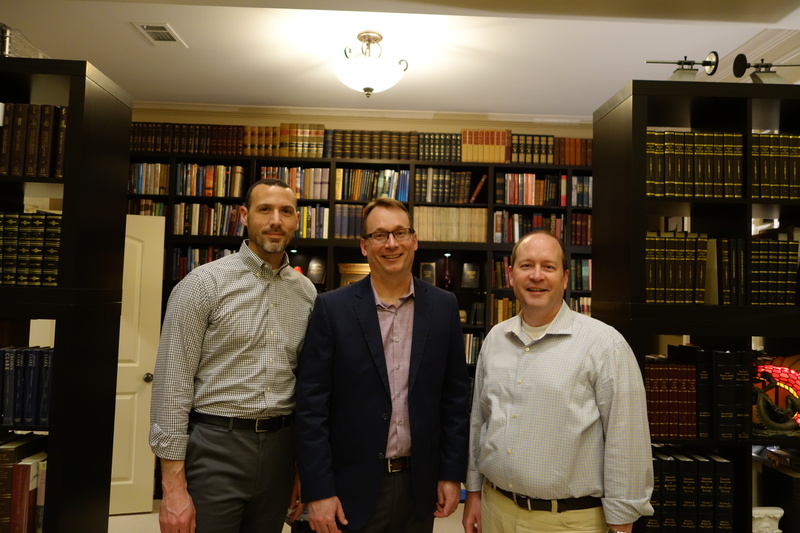 Miller Eccles Study Group Texas was pleased to host W. Paul Reeve at study group meetings in McKinney on Friday, February 19, 2016, and in Arlington on Saturday, February 20, 2016, and at a fireside in Arlington on February 21, 2016. The study group topic was: “From Not White Enough, to Too White: Rethinking the Mormon Racial Story”. The fireside topic was: “Black, White, and Mormon: Rethinking the Mormon Racial Story”. 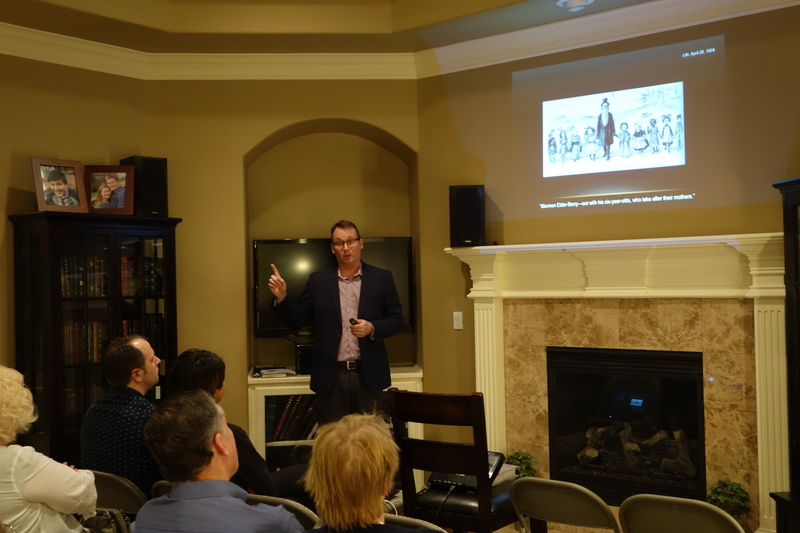 Paul Reeve speaks to Miller Eccles Study Group Texas in Arlington, Texas, on February 20, 2016. 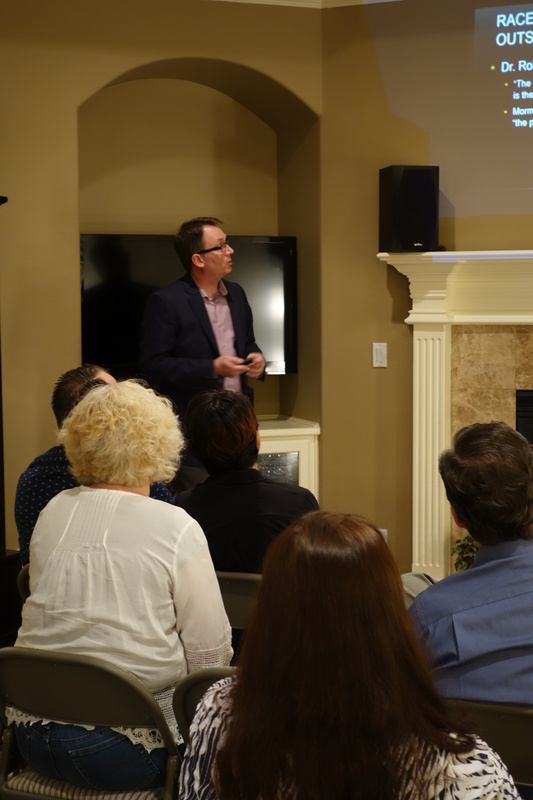 Paul Reeve speaking at a Miller Eccles Study Group Texas meeting on February 20, 2016, in Arlington, Texas. Adam Miller, Paul Reeve, and Cris Baird. February 20, 2016.